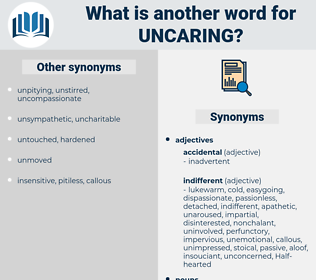 What is another word for uncaring? 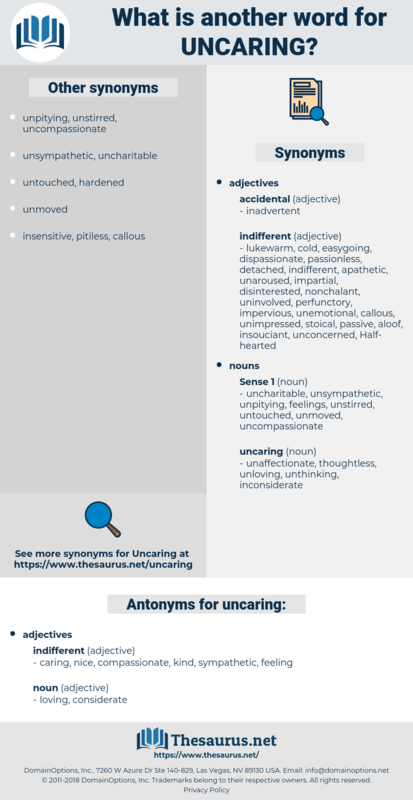 caring, nice, compassionate, kind, sympathetic, feeling. He sprang directly toward its large window, and as he floated " upward" he corrected his course and accelerated his pace by firing backward at various angles with his heavy service pistol, uncaring that at the point of impact of each of those shells a small blast of destruction erupted.